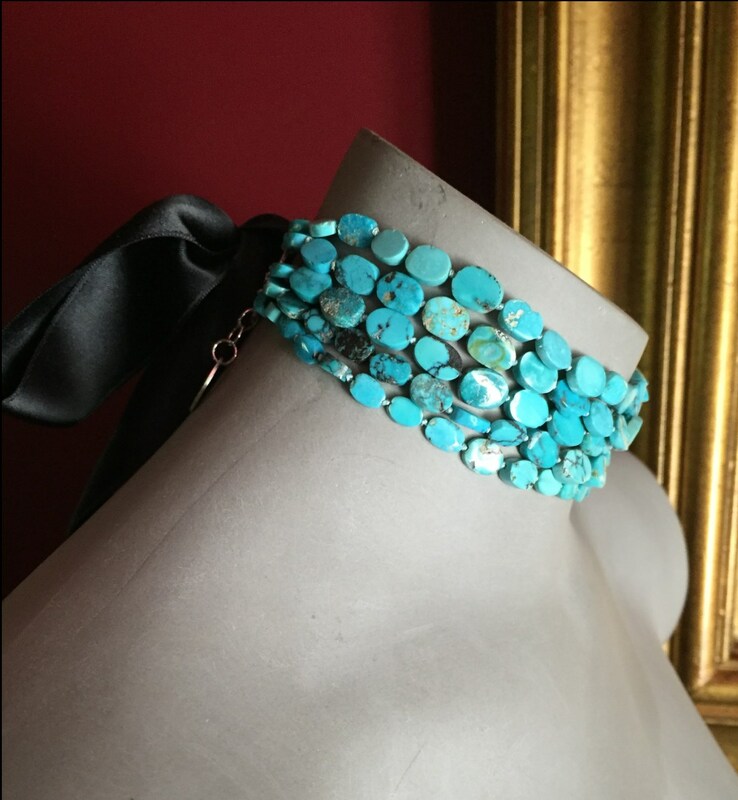 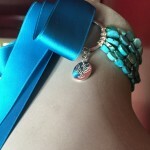 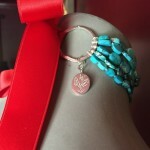 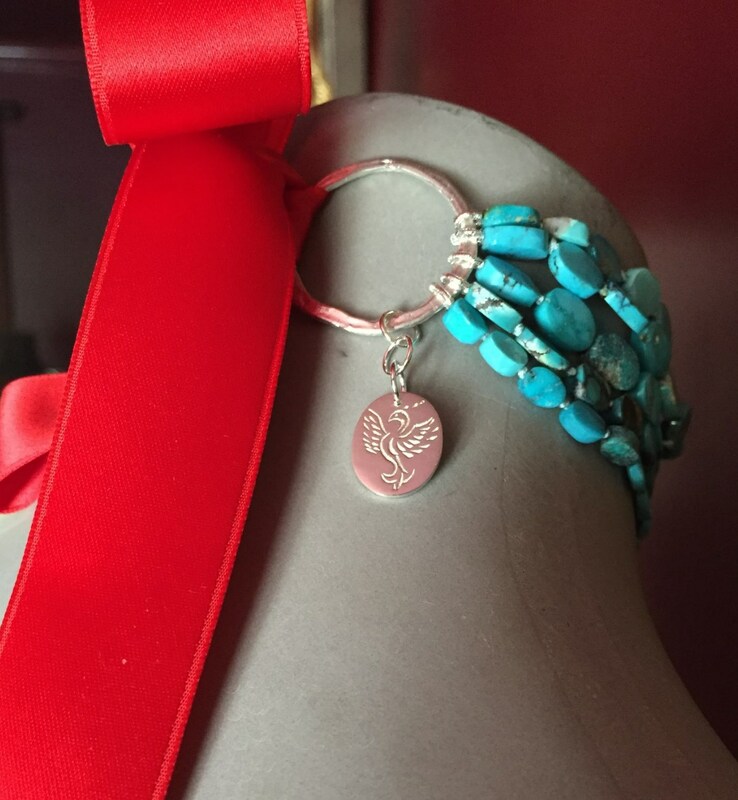 5 strand natural Turquoise choker with interchangeable Swiss ribbon. 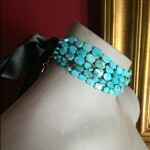 Hand knotted. 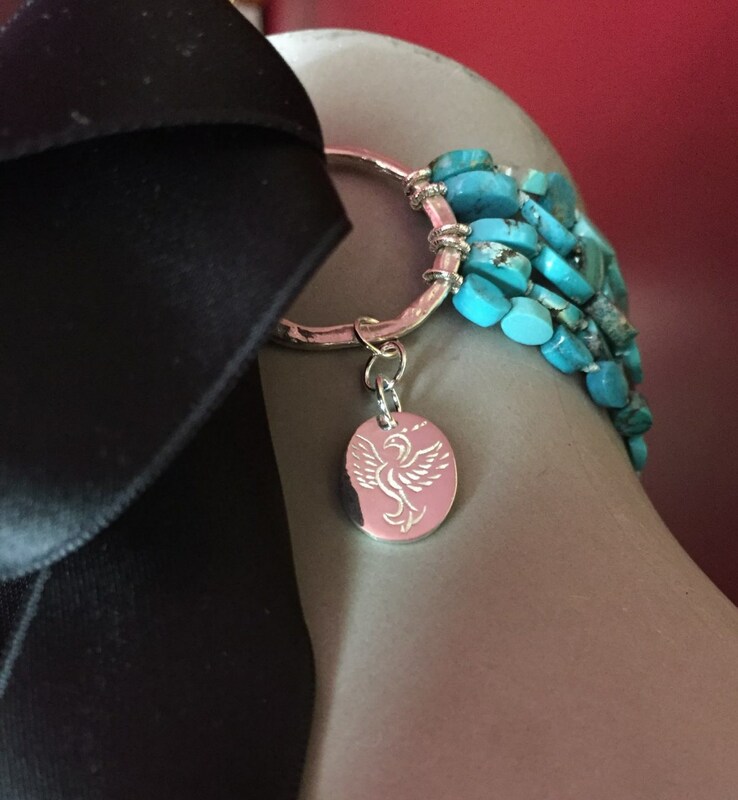 Hand engraved silver charm. 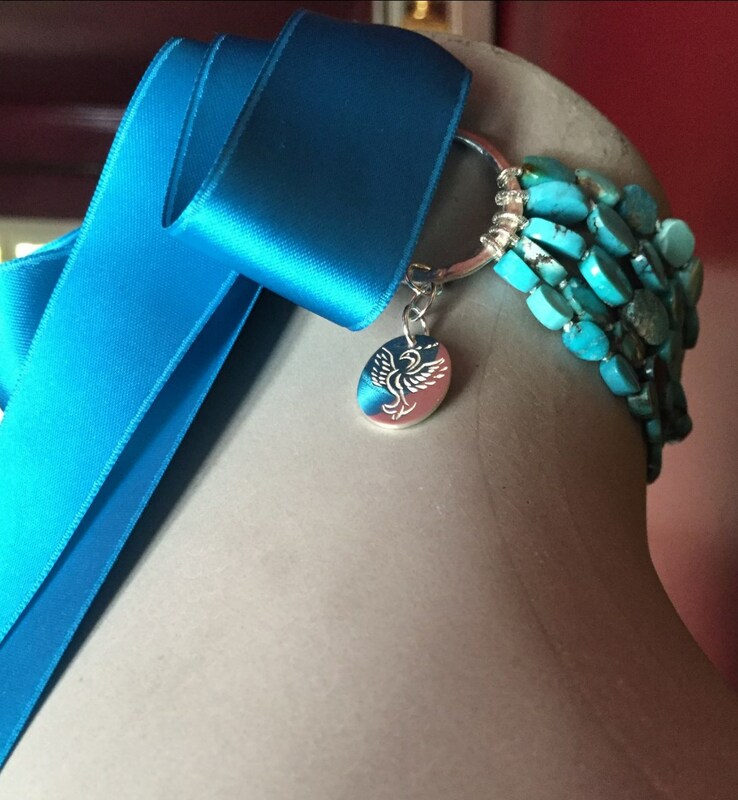 Shown here with Black, Turquoise, and Red ribbon ties.